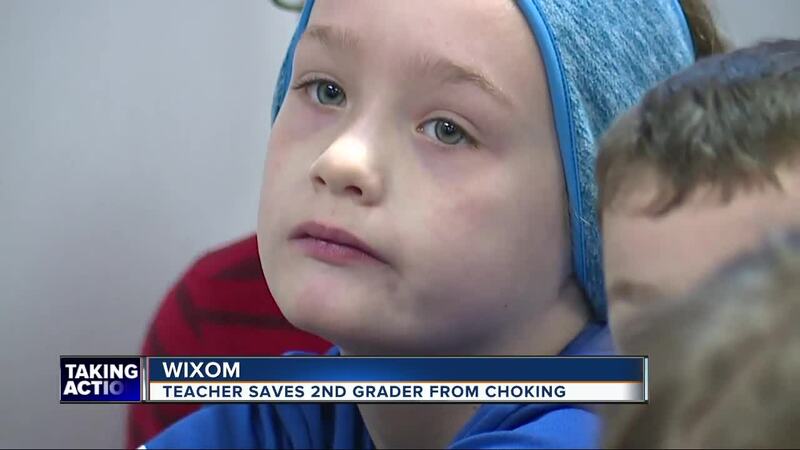 A Wixom teacher is being called a hero after saving a little girl from choking on a water bottle cap. WIXOM, Mich. (WXYZ) — She was named her school’s Teacher of the Year. Then she proved she more than deserves it when she took action to save a students life in class. It happened in Laura Doran’s second grade classroom at Loon Lake Elementary School in the Walled Lake School District on Monday, January 14. “She literally saved us from every parent’s worst nightmare,” said Nicholas Cavanaugh, the father of Riley and Sienna, twin girls in Mrs. Doran’s class. When the object finally came free from her airway it wasn’t food as you might assume. It was the top of a water bottle. “Our life was almost forever changed over a bottle cap, so it is something that had to be told,” said Nicholas Cavanaugh. “When I got to the car, it hit me. That could have gone in a way that would have been very tough,” said Mrs. Doran. “Had Ms. Doran done anything other than spring into action, had she waited or called for help, I believe we would be having a much more tragic conversation right now,” said Doran.